Here’s how to raise SAT test scores! 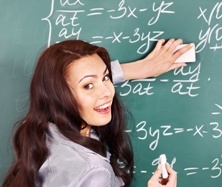 Go to an expert SAT prep tutor, like those at StrongLearning.com, who will teach you proven techniques on how to answer the different types of questions and help you in areas in which you need to improve. That may not sound like the magic bullet, but I assure you there’s nothing better. As a Strong Learning Tutor, I have helped many 8th graders prepare for the ISEE, the SSAT and the TACHS. 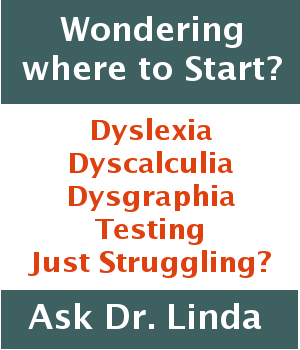 Children learn proven techniques on how to answer the different types of questions, and by helping them in areas in which they need to improve. For years the SAT college entrance exam was “the one and only,” especially on the east coast. This has changed. Today the ACT is valued just as highly as the SAT. Yet, many students still prefer the SAT because it focuses on reasoning skills and is not based as much on subject matter. Other students prefer the ACT because it’s more straightforward since the ACT is curriculum based. They’re both challenging tests. 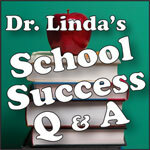 Dr. Linda Answers Your Questions | Test Scores Aren’t Good? My daughter is in 9th grade. I’ve always had to sit with her to study for tests. I read everything she reads and then teach it to her again and again. We’ve sat for hours studying for one test and she still gets a C. She may even fail. I’m so frustrated and so is she! She’s actually told me that she’s just stupid and doesn’t want to study with me because she’s still going to fail. I’ve gone to her teachers and they say she is bright enough to do better. Does School Success Depend on AP Courses? I read a “New York Times” article recently about AP classes in Newark, New Jersey. It seems, Newark, along with other school districts in the country have developed intensive programs in order to help increase enrollment and student performance on AP exams. Weekly or monthly summer courses, also called “summer camp” or “boot camp” have been established to prepare high school students for the AP courses they will be taking come September.